I don’t over plan my travel because I like to have variety. I was thinking of applying the same approach for my recent trip to El Nido, to the chagrin of one of my companions. Well, that’s an exaggeration, but I felt her concern when she asked for our itinerary and I could produce none. But there is a method to my madness, allowing me to discover exciting things that I wouldn’t have had I set everything in stone. But I am not alone on this trip, therefore I was willing to adjust. I started planning our trip, Google Sheets and all. As everyone else, I was left enchanted the first time I went to El Nido in 2015. It was special for several reasons, the main would be it was my first time to travel alone. Back then the damage was ₱18,894.24, that’s around $300. I had no one to split the expenses with and I didn’t know any better. So this time, I set a goal to cut the cost without compromising the quality of the trip and I did my research. I told my friends to prepare ₱10,000 for the pocket money. We booked our flight via a seat-sale promo with Air Asia. We had different flight schedules, Lara and Lou flew in the morning, I was scheduled in the afternoon, while Alchris took the evening flight. 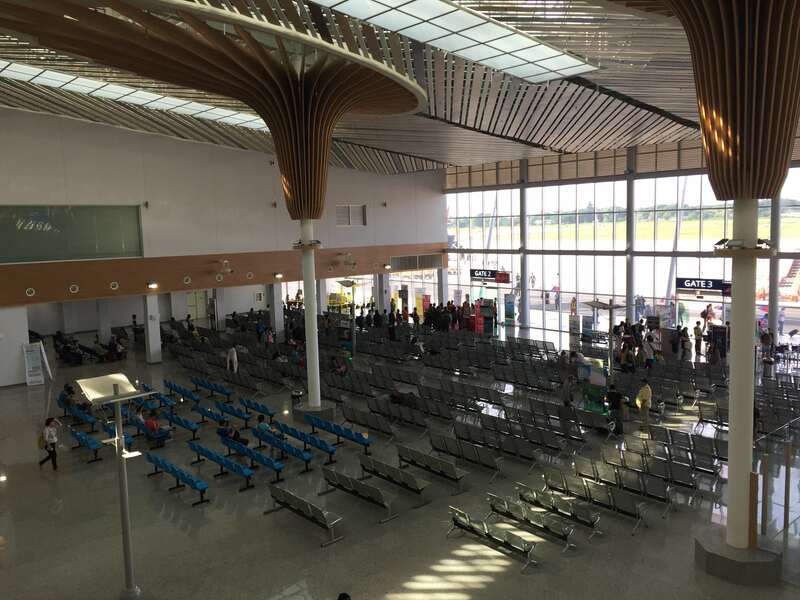 There is a new Puerto Princesa airport and it was just inaugurated in May this year. It’s located in Barangay San Miguel. The old airport, according to some reports, will be used by the military. Let me just say that I love this new airport, probably the most beautiful airport that I’ve seen in the country. We were supposed to take the bus to El Nido but a man approached us offering their van service. The bus fare would cost us around 400 pesos he said, while the van transfer is only worth ₱500 ($9.93). Considering the 6-hour travel time and the small difference in the fare rate, we opted to take the van. In 2015, I went with Lexxus, a known transport operator in Palawan. Not only is it more expensive, the van was also filled to the brim that traveling was anything but comfortable. This time, the van didn’t overbook and the fare is also cheaper. So my suggestion is, talk with people offering their van service outside the airport and haggle. Because they are in competition with one another to get passengers, it won’t be too hard to negotiate for a lower fare rate. One of the reasons El Nido is expensive is because of the expensive accommodation. But you’d be glad to find that there are now cheaper options with the emergence of hostels and guesthouses. We only spent ₱2,295.00 per head and that’s already good for a 4D3N stay at Outpost Beach Hostel. 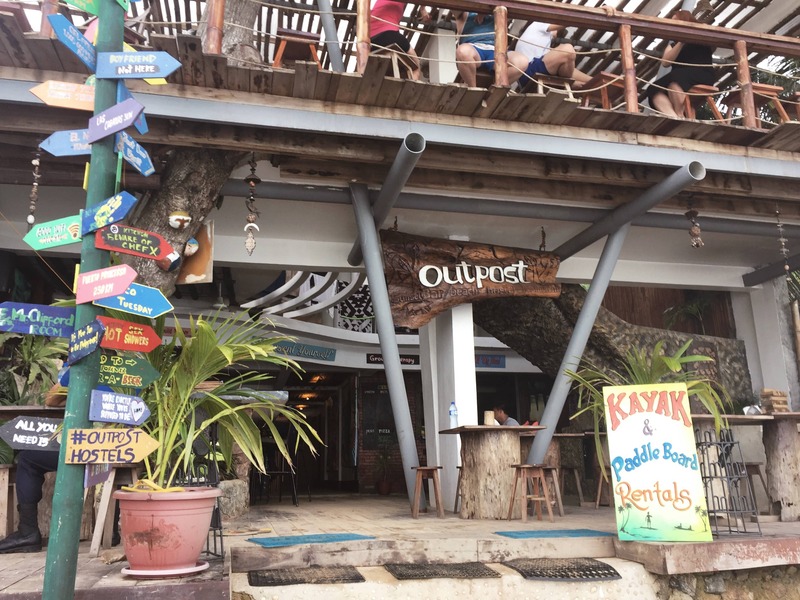 For my full review of this hostel, check out this link → [Read: Outpost Beach Hostel – The Most Popular Backpacker Hostel in El Nido]. On our last day in Palawan, we checked in at Teofila Pension in Puerto Princesa. It’s a no-nonsense accommodation, pretty basic, and only 10 minutes away from the airport. We stayed in one room with 2 beds and shower. A one night’s stay cost us ₱1,280, but since we split the bill, it didn’t hurt our budget. Teofila Pension is not exactly a stellar accommodation but given how near it is from the airport and its cheap rate, I definitely recommend it if you just need a place to crash in Puerto Princesa. By the way, our payment covered breakfast, which makes the deal all the more compelling. This is the only part of the trip in which we didn’t have to shell out thanks to the sponsorship of Sealand Venture. On our first day, we took the Tour A. This is the same tour that I took in 2015, but I didn’t mind going back especially when I wasn’t able to take photos on some of the islands before due to my water damaged phone. To know more about Tour A, click this link → [Read: What to expect on Tour A in El Nido Palawan]. Both tours would take you to some of the most beautiful beaches, snorkeling sites, and lagoons in El Nido. A and C are the most popular island-hopping tours, but if you are press with time and could only pick one, I’d recommend Tour C just because it will take you to my most favorite island, Tapiutan where you can see an unsullied beach called, Dalisay (a.k.a. Star Beach), and to this beach that takes some effort to reach but is definitely worth the trouble, the Secret Beach. I found out that there is so much more to see in El Nido that even if I wanted to dedicate a day for doing nothing, I decided against it. Not wanting to waste our time, I spared a day for land tour. There are some travel operators that offer this, but if you’re with a small group and you’re not inclined into spending more, it’d be good to hire a tricycle driver. They aren’t hard to find; most tricycle drivers would offer their services or know someone who could give you the tour. In our case, we hired Kuya Joshua for only ₱1,500, split 4 ways so that’s only ₱375 per head. 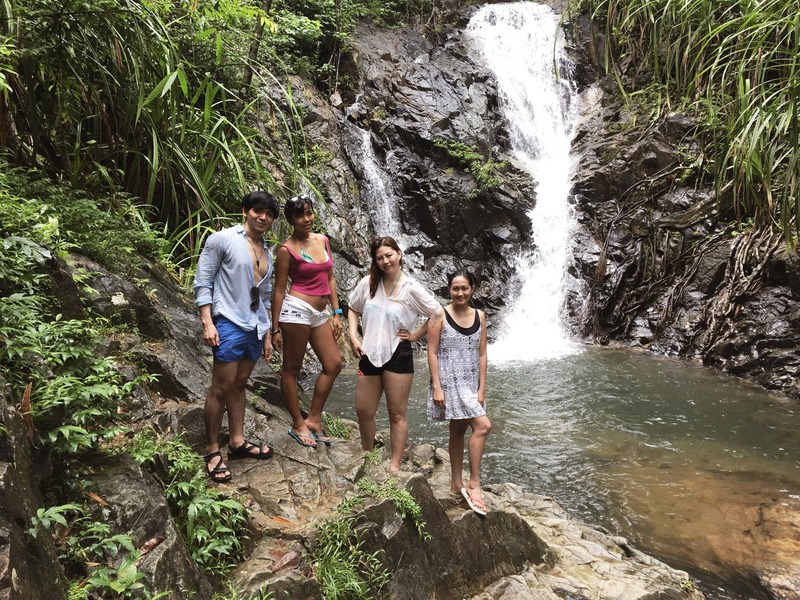 We were able to discover some of El Nido’s less visited points of interests and they were all amazing. To know more, read my article here → [Read: How to Explore El Nido’s Off the Beaten Path Destinations in under 500 Pesos]. There is something in my 2015 that I wasn’t able to do that I indulged in on my return and that is eating. There were some things that my friends and I did not agree on, but food is not one of them. Everyone was totally on board about pigging out. I noticed that there are more establishments now than 2 years ago, in fact, a Jollibee is currently being built somewhere in Corong Corong. Hence, we didn’t lack options, it was just a matter of choosing which one to try. 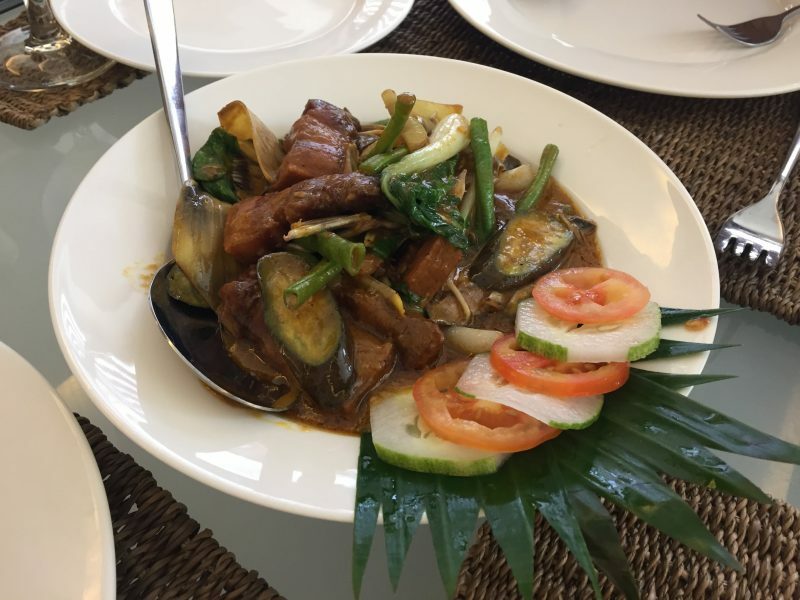 Casa Kalaw – This tops our list for the best place to eat in El Nido. This is the in-house restaurant of LiO Villas Resort and where we had the most satisfying dining experience. The ambiance is good, the staff are well-dressed and polite, and the food price is not as expensive as we thought it’d be. It was recommended to us by Kuya Joshua during our land tour; good thing we listened to him. LiO Estate is a bit far from the town but trust me, the trip is worth it. Do not forget to order their pork kare-kare and ensaladang mangga. For dessert, you should definitely try their unique take on leche flan. 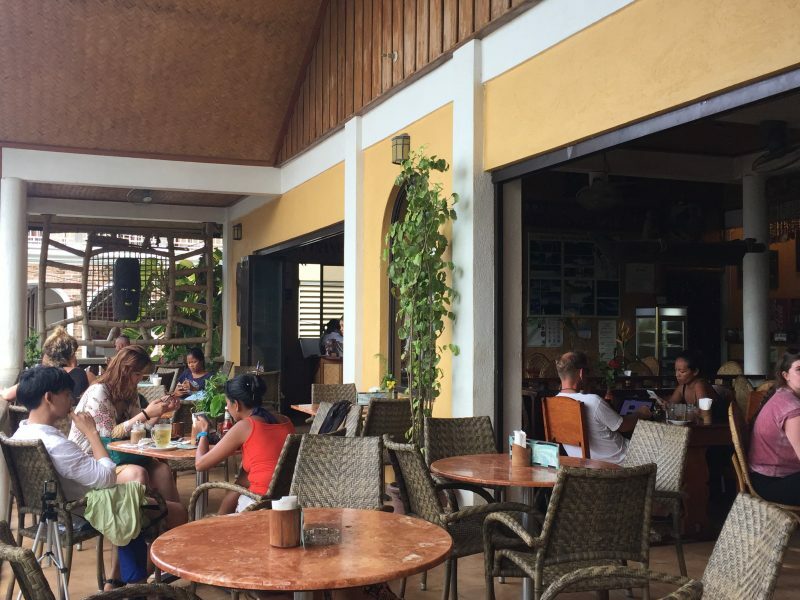 Art Cafe – This cafe can be found near the port and is quite popular with tourists. The food, however, is just alright, nothing remarkable. For food, go for margherita pizza. The Cavern Pods & Specialty Coffee – It’s a newly opened pod hotel that has its own cafe. They offer delicious and reasonably priced breakfast meals. The best thing about this place, of course, is the coffee. After days of making do with so-so tasting coffee, I had coffee here and was like, finally! Someone got it right! 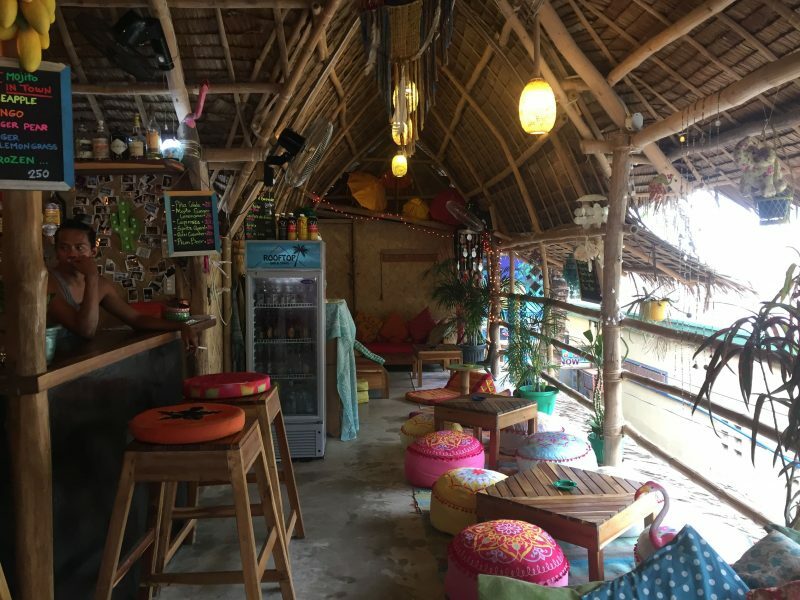 Roofbar – We found a bohemian bar in the town after an island-hopping trip and it’s called Roofbar. I heard that backpackers like to hang out there in the night. I totally digged the bohemian vibe; the colorful curtains, the mismatched throw pillows and ottomans, the overall quirky design of the interiors. We went here for a quick snack. Their cheese stick and calamares are nice and the margarita is refreshing. 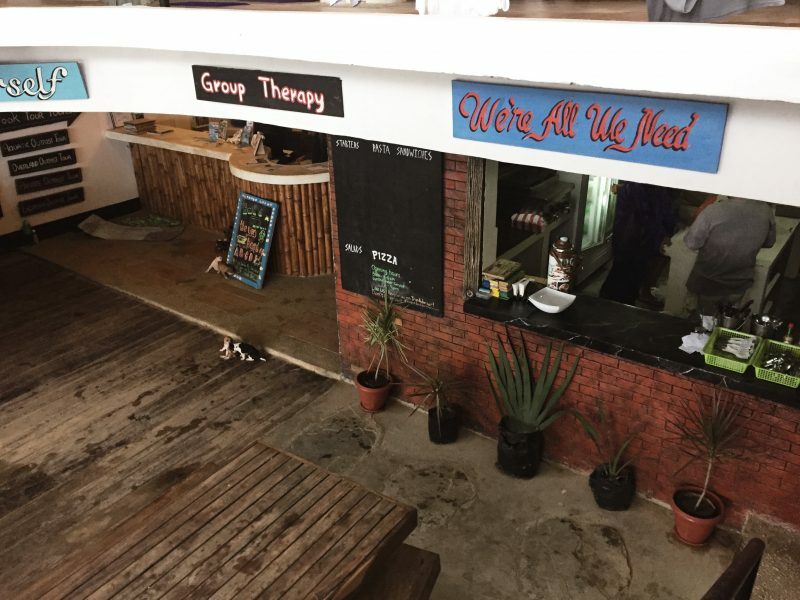 Outpost Beach Hostel – Outpost has an in-house bar and restaurant and it’s open even to non-guests of the hostel. If meeting new people is your scene, this is the place for you. It is always brimming with people, mostly foreign backpackers in their 20s. The bar is open until 10pm, after which, you may continue the party with your newfound friends at Las Cabañas beach. So this is it, the final verdict. 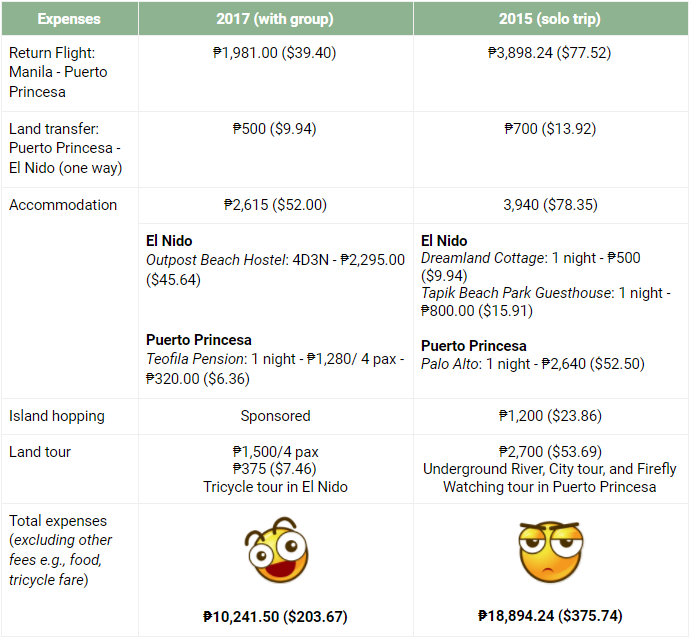 What do you think, is it cheaper to travel in El Nido solo or with a group? I made a side-by-side comparison of the expenses, but it’s important to mention that there are many things in this trip that were different from the one that I’d taken in 2015 and I do not just mean about having company. 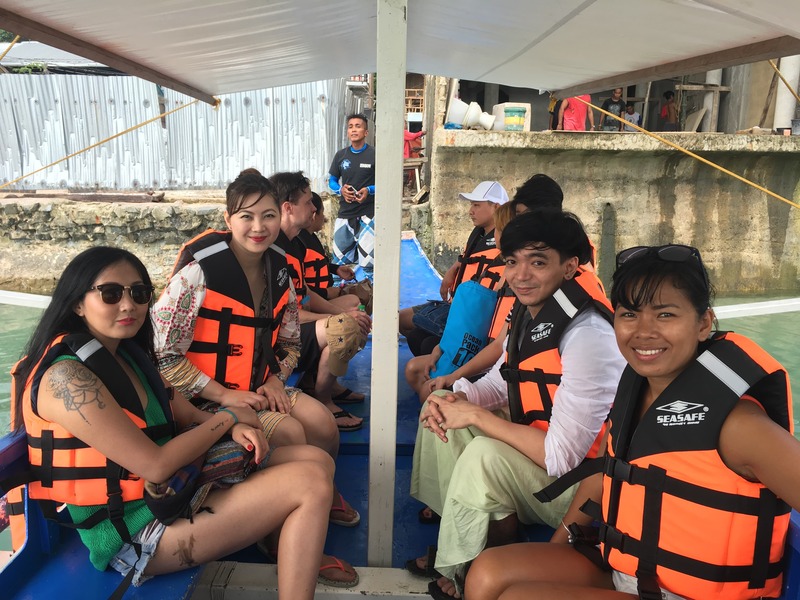 For example, I went on a tour in Puerto Princesa then, but this time, our tours were focused in El Nido. Hence I cannot make an exact comparison. Nevertheless, I’d like to think that I was able to correct my mistakes from the first trip, like finding a cheaper option. Another point of consideration is the food. In 2015, I ate mostly in small food joints, this time I ate in restaurants. We ate so much, a big chunk of my budget was went to food. Despite this, my 2017 trip turned with friends out to be cheaper than the one that I took in my lonesome in 2015. Note: Conversation to dollar is based on August 2017 currency rate. There are cheaper van transfer options from Puerto Princesa to El Nido. You may view or download the itinerary of this trip by clicking the photo below ↓ . Awesome post! I really really want to go back to the Philippines now 🙂 It’s great that you provided such a detailed breakdown and although I love travelling solo as well, sometimes it’s just better to go in a group! Safe travels! There are some pretty useful tips for the first timers in this post. From accommodation to travel to food, you seem to have covered it all. Thanks for all this info. I do hope to get there sometime . Wow this is nice. I’ve never been to El Nido and I’m looking for travel guides that I’ll be using for next year. Your guide is informative and your tips are useful. I think it’s a must that we must visit El Nido as it is dubbed as one of the most beautiful islands in the world. On the other hand, I also agree that doing a solo trip is relatively more expensive than traveling with a group. You have to pay for the expenses on your own and the sad part is, you are all alone. Haha! 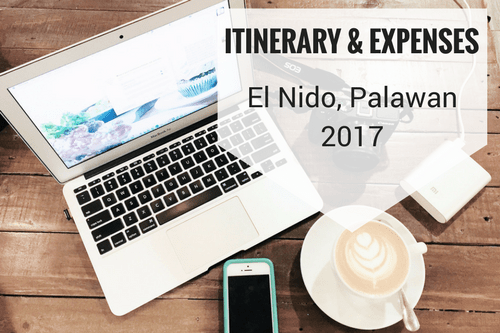 This is a complete guide to El Nido and very useful for planning a trip. I like the way you have given details of the costs involved. Helps in budgeting for the trip. But there are so many things to see and experience in El Nido, I am sure there is no time to think and never a dull moment. Well I’ve never traveled solo so I can’t compare, but I think traveling with a group is much more pocket friendly and fun. It’s nice to see that you found cheaper options this time around and managed to save money. El Nido looks like a beautiful place and I would definitely want to visit someday. Thanks for sharing these tips! I am definitely going to visit here some day. And your post is going to be super helpful for me defining my own itinerary. Good points about where all we can save money while visiting here. I have also found that traveling as a group saves money. You can split a lot of cost between the members. Haha! I agree that the costs of going with a group, reduces your cost individually as the eating, staying elements get divided. But then you need the right company of people on the trip! 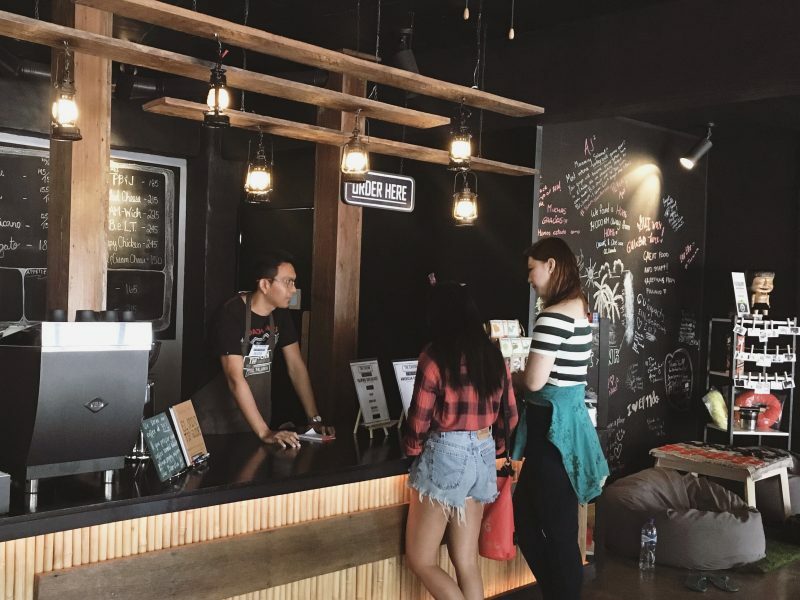 Hostels are a good way to meet other travellers. So where does El-Nido get its tourists from? Is it a lot of local people who come or is it more so international tourists? Here next Month! cannot wait. Thanks for the tips and places to visit will definitely be checking some of them out. Well done on the saving. I think it is always cheaper to travel in a group given that you share the cost. Congrats on the ~8k pesos saving 😮 But I wonder how much you spent for food? I’m going to Palawan this month. I got sponsors for hotel and tours but still need to shell out some amount for dinner and land transfer. You may see it in the PDF that I attached in the bottom of this post. There’s the complete list of expenses.